Are you a researcher who works on games? An executive who wants to commission a serious game? A journalist who writes about games? Please forgive me for wagging my finger, but you really ought to know your subject, shouldn’t you? And to know games, you have to play them, don’t you? Not everyone thinks so. Many researchers, clients and writers I’ve encountered seem comfortable to work with games without actually playing. Some say, with a little pride, “I don’t actually PLAY games myself, ha ha ha.” As if it would be a dumb thing to do. To me, that comes off like a professor of cinema saying, “Well, I’ve never actually SEEN Citizen Kane, ha ha ha.” What a curious attitude! It’s not the content of these statements that seems odd, it’s the thought process that leads to them. Who would write about cars but think they don’t need to drive them? Who would commission a building in Boston but think they don’t need to visit any Boston buildings? My guess: These attitudes come about because serious people have difficulty moving games from the goofy side of their brains to the side of gravity. There are good evolutionary reasons for that. Still, it’s a problem. One of the markers of a serious thinker is that they know their subjects. They get their hands dirty. This means that if you’re seriously involved with games, you have to play. Play what? That’s hard. Literacy in games takes much more time than in almost any form of artifact or communication I can think of. How long does it take to read War and Peace several times? 100 hours? Well, you’d need 2,000 hours to really understand what’s going on in World of Warcraft. That kind of devotion seems more like ethnography. If you’re serious about gaming, perhaps you have to live it. If I had to suggest one type of game to play in order to know what games are all about, I would choose tabletop roleplaying. Maybe it’s unfair, but I tend to think of anyone who has completed a sustained campaign of Dungeons and Dragons as a real gamer. They have street cred. And because just about every leader in the modern game industry grew up in RPG culture, playing these games gives you great insights into the entire phenomenon. 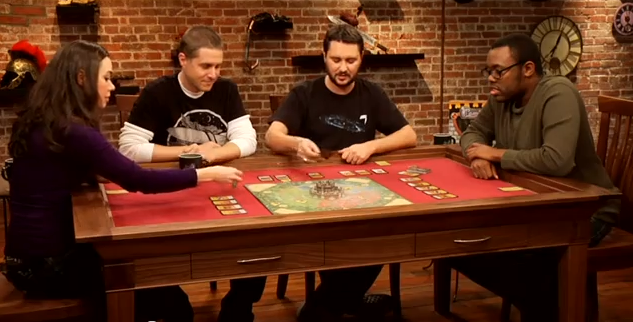 There’s also a wonderful internet TV program, Wil Wheaton’s Tabletop, that shows how a good roleplaying group functions. Get your books, find some friends, make some characters, and go!